The 2018 edition of the Latin America Investment Forum (ALIF) will be held on October 17 at the Melia hotel in Milan. The event is the most important economic forum concerning the LatAm region in Italy. It is being promoted by LIDE Italia with the collaboration of various Latin American governments. 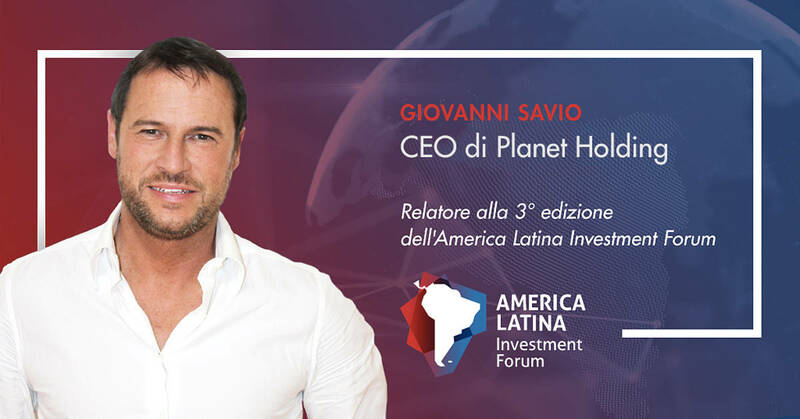 During the event Giovanni Savio – CEO of Planet Holding – will describe Smart City Laguna, one of the most recent and interesting projects between Europe and Latin America. The various divisions of Planet Holding collaborated in the development of the project: Planet Idea, a Competence Center based in Italy, transforms large real estate projects into smart ones, and the group’s Brazilian branches manage the construction and marketing of the Laguna. ALIF is aimed at those operating in Europe and Latin America. You can request to participate in the Forum, which provides its members with insight into international opportunities, and promotes networking and one-on-one meetings.